Britt Pheiffer has trained to backpack the Teton Range, but isn't prepared when a violent storm leaves her and best friend Korbie stranded. Seeking shelter in a secluded cabin, they find two handsome rescuers. Or so they think. When a prologue starts with what appears to be a young girl being murdered, this instantly turns a book into a page turner for me as straight away we get the sense of mystery, very compelling as you are left wanting to know what happened to the girl and who done it. The story itself takes place a year after the event mentioned above. We are introduced to Britt and her best friend Korbie. Things are complicated from the beginning because the girls are planning on going backpacking but Korbie's brother, Calvin (who happens to be Britts ex) is apparently tagging along as the chaperone. This does not sit well with Britt as she was hoping to prove something to herself and everyone else, that she can do things without help!! "I've been training for this trip all year". I argued. "You don't know how hard I've worked because you haven't been around. You haven't seen me in eight months. I'm not the same girl you left behind. You don't know me anymore." We are introduced to the mysterious Mason, quite early on, infact Britt pretends that he is her boyfriend when she happens to bump into Calvin at the gas station. "The door chimed and my fake boyfriend strolled inside." I suppose you could see it as fate that they happened to meet. Even before Britt and Korbie set out on their journey you get the sense that something bad is going to happen. Warnings of previous occurences start the cogs turning and you get the feeling that darkness lies ahead. "Lauren disappeared very close to where we'll be." When the girls get caught in a bad snow storm before they can reach their cabin, they seek shelter in what looks like an abandoned cabin but inside they discover the erratic Shaun and Mason who remains a mystery somewhat. Shaun's behaviour turns from happy go luck to cold and unfeeling quite quickly, he comes across as a character not to be messed with as you won't like his reaction if you piss him off!! "Shaun had a gun. That meant he was the ringleader. Or did it?" Now I don't want to give too much away as I think the twists and turns involved in this novel are better off experienced first hand but I would say go into this with an open mind. The book takes you on a real rollercoaster. There are moments where we delve back into the past and get a glimpse as to what makes the characters tick. "What kind of guy kills his own girlfriend?" What I really enjoyed was that although this story seems to be predominantly a thriller it also mixes in a touch of romance, which I felt added an extra depth to the storyline, made you feel more for the characters. Black Ice will have you on the edge of your seat and you'll be kept guessing as to who is who and what they've really done. 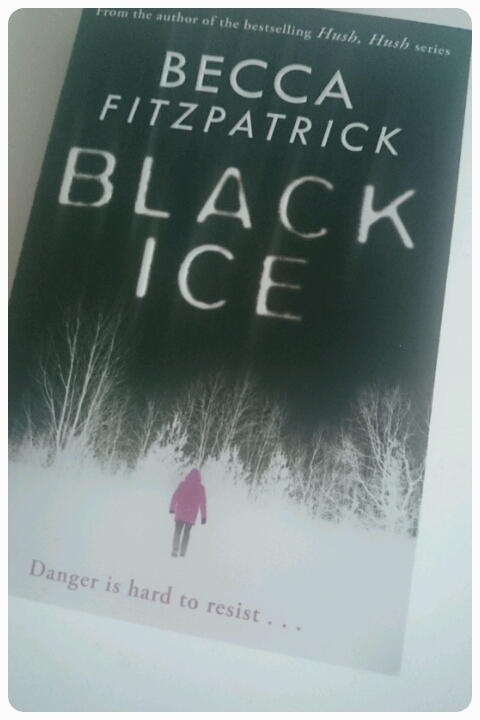 Dark at times and certainly different to other novels I've read. A highly recommend read.